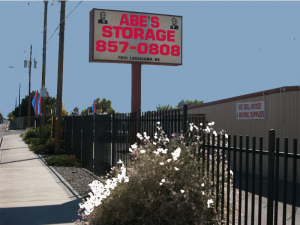 Abe's Storage | Small enough to know your name, big enough to meet all your storage needs. Welcome to Abe’s Storage! Our facility provides you with safe, affordable and convenient storage options. We offer a variety of size units for your residential or commercial storage. Whether you’re clearing your garage to actually be able to park your car in it, storing seasonal items such as patio furniture to Holiday decorations or storing business records and supplies, we have the storage unit perfect for you!